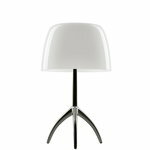 The Lumiere 05 table lamp from Foscarini is designed in 1990 by Rodolfo Dordoni. He was inspired by the classic table lamp with a lampshade. 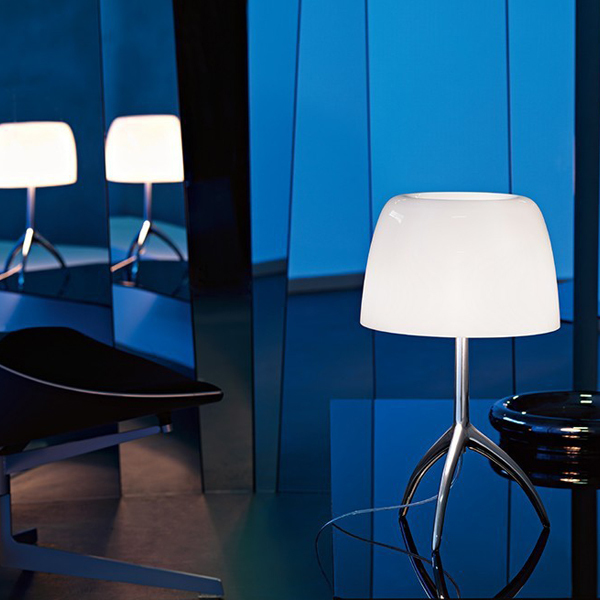 The lamp immediately became one of the best sellers in the Foscarini collection. 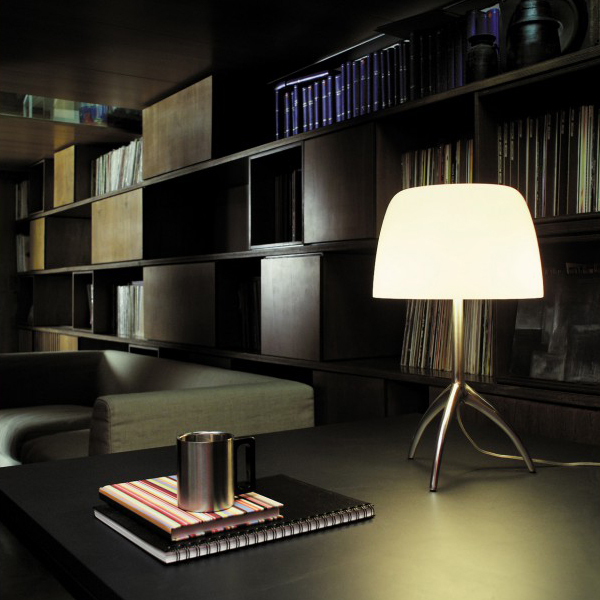 The Lumiere 05 table lamp is a combination of harmonious lines and hardness. It is made of a mouth-blown glass and aluminium. This table lamp is a truly iconic piece of design. Rodolfo Dordoni was born in Milan in 1954. He graduated with a degree in Architecture from the Milan Polytechnic in 1979. After his graduation Dordoni started to work with leading companies in the Italian and international design scene. In 2005 Dordoni established a design studio called Studio Dordoni Architetti along with Alessandro Acerbi and Luca Zaniboni. Studio Dordoni Architetti works in the filed of architecture, interior design, commercial and exhibition settings and design of private and public spaces. 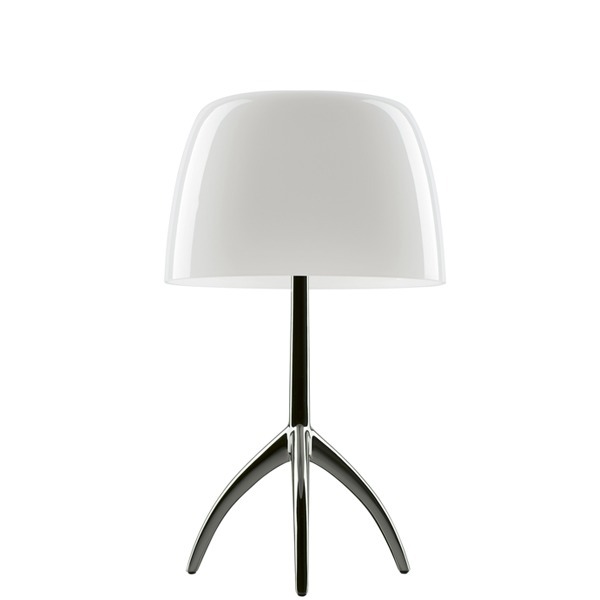 Rodolfo Dordoni has designed some of the most famous objects of italian design, including the iconic Lumiere 05 lamp.